I read the book about 18 months ago, but at far as I can remember (! ), my evaluation of it pretty much matches yours. It’s a tremendous counter-cultural, theologically thick pastoral resource. However, the margins of my pp.158-60 (on Swinton’s trinitarianism) is littered with question marks, and – you’re right – Lewis’ masterpiece and game-changer would have been an immensely suggestive resource for mining further insights. 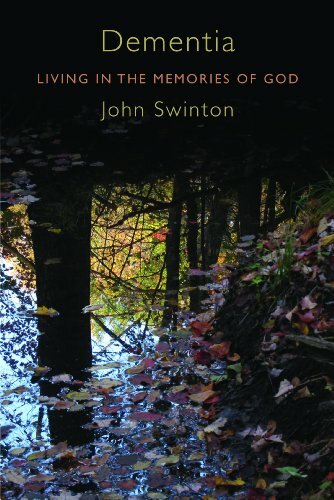 On the other hand, I wish that Swinton had spent more time on the resurrection of Jesus in the context of his discussions on memory (pp. 224-26). That we are “remembered” by God, fine, but not enough. It needs to be emphatically supplemented by the reality of our participation in the risen life of Christ now – and whether we know it or not. Travis, thanks for your comment and question. I’m not familiar enough with VB’s work to comment on that, but certainly Jenson, Jüngel (in his little book on death), and Ray Anderson might be good places to begin. I’d also encourage you to keep an ear open for Bruce McCormack’s forthcoming lecture on atonement and human suffering.